It is important for women to honor their differences and accept the challenges that come with having a surplus of uniquely feminine hormones. At A Family Healing Center, the treatment of women is centered around maintaining balance, comfort, increasing strength and vitality, reducing symptoms of hormonal changes, promoting proper metabolism, and preventing chronic illness. Proper balance of hormones is important in nearly every symptom and illness in women. The doctors at A Family Healing Center excel in treating PMS, fertility, difficult or painful periods, heavy bleeding, weight loss, menopause and hormone balance, autoimmune conditions, and more. Because each person is individual and unique, all treatment plans are created to fit the exact needs of each patient. Many changes have occurred with the use of hormones in the pat 10 years. For example, conventional hormones were being used regularly to help with menopausal symptoms until in 2002, the HERS study revealed that the combination of synthetic estrogen treatment with synthetic progesterone treatment increased the risk of breast cancer, stroke, heart attack, and ovarian cancer. Women, at large, stopped their hormone treatments cold – turkey after this study was published and many suffered severe menopausal symptoms for years. Most of these women had to “wait out” these symptoms until they improved, which for some women, was years. There are many options for women who want to improve their menopausal symptoms without conventional hormones. 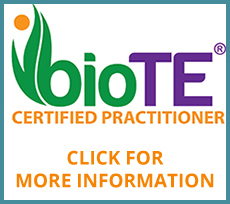 Treatment options are numerous but can include bio-identical hormone replacement therapy, herbal treatment, drainage, gemmotherapy, and homeopathy. Bio-identical hormone replacement therapy is gaining increasing support and popularity within women circles, though it still can be used improperly and should be monitored by an experienced physician. Bio-identical hormones are made in a laboratory to be identical to the hormones women’s bodies produce and are made from soy or wild yam. Bio-identical hormones are very beneficial and excel at reducing menopausal symptoms because the body is able to easily utilize them and break them down to excrete them from the system. Often times, smaller dosages of bio-identical hormones compared to conventional hormones can be used to alleviate symptoms due to the significant effectiveness of the bio-identical hormones. Biotherapeutic drainage remedies and gemmotherapy also work extremely well at reducing and eliminating unwanted menopausal symptoms and bringing hormones back to balance in the body. This means that there are still plenty of options for women who wish to use no hormone therapy at all! If you are a woman and feel you may be experiencing hormone related problems or have questions about your health, come in for a free 15-minute consultation and we can answer your questions and discuss treatment options for you.